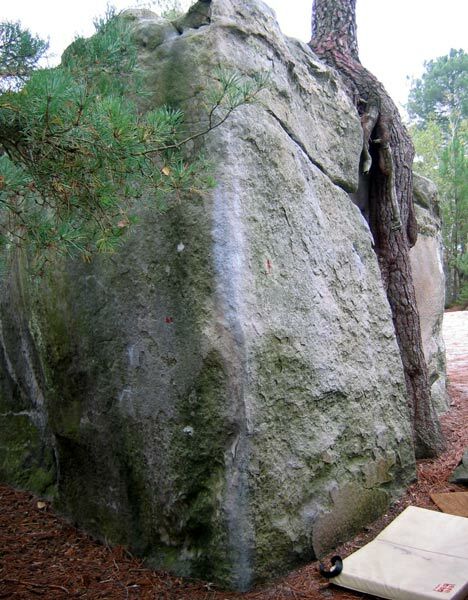 To the right of this problem the small arete (by the pine-tree) there is a distinct problem....which actually seems to be marked with blue (?) but I cannot make out the number. Does anyone have any info on this? The arete in question is the one in the picture above. Just to the left of the tree-trunk. ...On this wall you have 2 marked red boulders on the left-hand arete (red 2 and Red 2 bis around the corner). No one done this one?